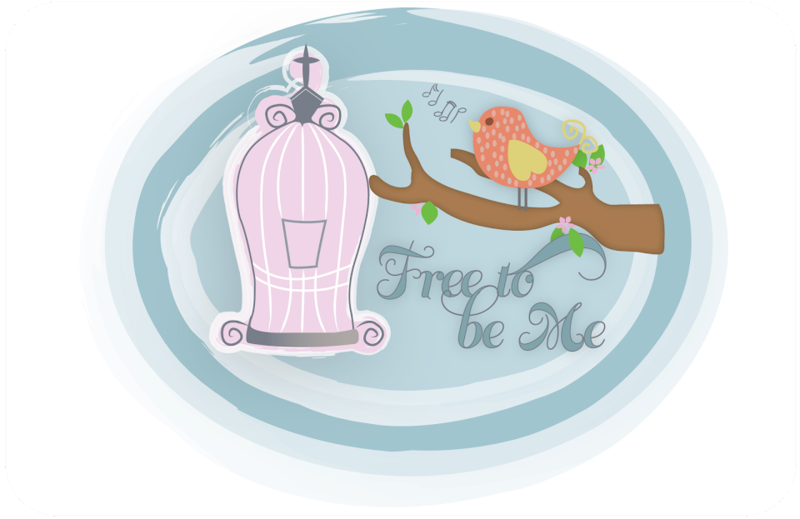 Free to Be Me: My Corner! When we moved the living room around in order to accommodate the Christmas tree, the general family consensus was that the TV needed to stay in its new home once the festivities were over. That was good news for me because it freed up a corner for me to create a space I can call my own. I sit in the family room with the 6 other people I love who live with me, but the never-ending, ad-nauseum list of sporting events can make my eyes begin to glaze over and roll back in my head. A corner to call my own, though, would mean I could still enjoy being with my family, but be able to do my own thing at the same time. We went out after Christmas and found this chair and ottoman for a steal ($375 combined) and I found the pillow at a second-hand store. "You are my sunshine" is what I sang (and still do) to my babies and I knew I had to have it as soon as I saw it! 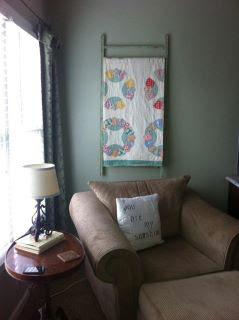 I also found an old crib railing painted the same color as my wall and Tim mounted it so I could hang one of my great-grandmother's quilts from it! The side table was my Granny's and so everything has special meaning for me!